The EMA bid a dignified sad farewell to London…but we should be much sadder than them! In Brexit Britain you wake up, make yourself the quintessential English cup of tea, and then survey the digital landscape for the latest slice of national self-destruction. 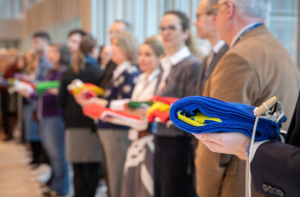 This morning the European Medicine Agency (EMA) said what was clearly a sad emotional farewell to London as it relocates its good work and over 1000 talented staff to Amsterdam. Is there anyone who doesn’t share their sadness? And the answer was provided in a simple but insightful, accurate tweet from @KimSJ “Increasingly, Brexit feels like a battle between nice people and nasty people. Who knew there were so many nasty people in our country? More to the point, who knew just how many politicians would be quite prepared to pander to them simply to further their own careers.” Yes – there are a lot of nasty people who either welcome or couldn’t care less about the EMA departure. 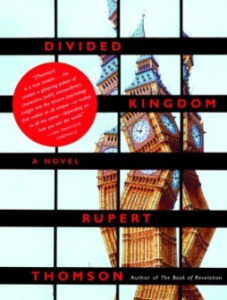 I recently revisited “Divided Kingdom” – the 2005 novel by Rupert Thomson. It seems to get more prescient by the day. In 2019, Thomson’s prescient 2005 Divided Kingdom shows you could make it up! In it, the dystopic UK is divided into four geographies into which persons with specific personality traits are relocated – the cheerfully optimistic, the raging violent choleric, the spiritual stoic, and melancholic depressive. Walls and armed guards prevent movement between the quarters except for an itinerant stateless class who wander aimlessly. No prizes for identifying where the ‘nasty’ Brexiteers are to be found! Our 2019 divided kingdom is both more binary and more multi-layered. Brexiteers and Remainers; forward-looking cities and nostalgic counties; old and young; digital and analogue; outward-looking Europeans and parochial little-Englanders…and so on. The most prominent outliers are not itinerant stateless wanderers – but rather the dark, neoliberal, often non-dom, puppet-masters infecting the May-Corbyn attempted coup with their viral narratives, blatant lies and cheating tactics. Perhaps unexpectedly, though, Thomson’s device of dividing the kingdom geographically provides the seeds of the solution to the impasse. This blog has increasingly diagnosed the rise of an intolerant, xenophobic right, claiming a ‘populist’ ethos, as the death throes of representative democracy based on nation states. Trump, Bolsonaro, Duterte and related dystopias are an authoritarian response to the breakdown of the system. May and Corbyn represent a distinctive English variant of this – dishonest incoherent argument mixed with grossly incompetent execution by both Government and a purported Leader of the Opposition. Assuming over the next 6-8 weeks Parliament fails in its muddled, half-hearted attempts to wrest back control from both dysfunctional Executive and their Corbynysta-mirror, the UKs confirmation as an extreme (perhaps first) example of a relatively wealthy, advanced ‘failed state’ will be complete. At this point the destruction of Whitehall-based Government and deconstruction of Westminster-based parliamentary democracy needs to become the driving force for radical, revolutionary devolution within a progressive Europe. Scotland, to a lesser extent Wales, and the metropolitan Mayors – notwithstanding all their shortcomings – provide political leadership and functioning governance so superior to Whitehall and Westminster (2W), they might as well be a different country. Non-metropolitan England can choose continued parochialism and subservience to the headless chickens in the 2W bubble(s) or move forward with their metropolitan neighbours. And amongst its last acts, the Divided Kingdom can rescind Article 50 and recommit to working with our European neighbours on progressive and inclusive global agendas. Interesting idea David but the military would never let it happen. We will have to see how much the state fails rapidly after March 29th. I too am massively despondent. Every day is so depressing with May running down the clock to no Deal. I Got my haircut yesterday and the woman who cut it said she voted out and loved Boris because he was so ‘funny’. I pointed out how jobs are going from UK already and she didn’t care as long as no more immigrants come to UK. I explained how NHS depends on non national staff and she just shrugged. Her friend -cutting a customer’s hair next to her -is from Mexico! I note that the newspapers in the waiting area are the Mail and the Sun. So they are working their magic on her. I was left speechless at her idiocy………but it’s a sad piece of reality unlike our brexit twitter bubble VR.